Hypnosis can help by allowing you to work with, and overcome obstacles which prevent you from losing weight and from keeping weight off after a successful diet. You will be well aware that eating too much is not really what you want and you know that exercise and a sensible diet are important. However, these are not conscious, logical issues. Successful weight loss is as much about re-educating your mind to work and think differently. Learning what hypnosis can do to assist will make the transition from changing your thinking patterns regarding your mind and your weight. We are all aware that to lose weight and keep the weight off you need to eat less and exercise more. Statistics also show that dieting does not work long term and are almost certain to fail; if you need to lose weight for a key event then they can sometimes be useful for losing a few pounds. To maintain a healthy weight in the long term, you need to re-educate your mind to do things differently. If you always do what you have always done you will get the same results. You need to change your approach to food for a long term stable weight which means focussing on why you eat what you eat and re-addressing the habits that you have picked up over the years. Historically diets are seen as ‘Right, its new year, going to start my diet now’, as if it is some form of punishment and will be a trying time while you avoid all the things that you use to love to eat. However with hypnotherapy we believe that a healthy weight can be achieved, and more importantly maintained if long term habits are broken and your attitude to food is altered. Hypnotherapy will not work without commitment and consistency. It is by no means a magic cure but the internal voices that existed previously, punishing you when you had the odd biscuit, will be re-programmed to make you think very differently about your eating habits. The role of a Hypnotherapist is to ensure the welfare of the client and to help the client develop and achieve your happy weight goal weight. 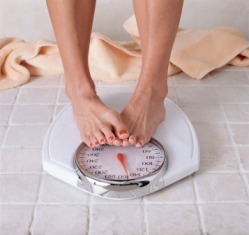 How Can Hypnosis Help with Weight Management? Clients who seek help with weight management have usually tried most forms of diet at some time or other. Whilst hypnosis is not magic it can help if the client is well motivated. The majority of issues surround ‘habit eating’ and ‘portion control’ . Hypnotherapy can work well with these areas specifically. Habit eaters may have got into the habit of eating too much of the wrong sort of food, snacking between meals, picking and nibbling when preparing food, finishing left-over food, or comfort eating at particular times, in particular situations at certain times of the day or days of the week. Being ‘good’ all week and then it all going to pot at the weekend. It’s all too easy to get into the habit of eating and drinking for comfort and relaxation or as a reward or treat. Hypnotherapy can help to change those eating habits and replace these habits with healthy eating instead. Clients will then begin to lose weight and become more confident individuals without forgoing the pleasure of eating. The healthiest way to lose weight is not the quickest way to lose weight. It is estimated that more than one in four adults in the UK are trying to lose weight "most of the time", a survey has found. The poll, by analysts Mintel, estimates that this means 13 million people are effectively on a permanent diet. People who are happy with their weight and consistently keep their weight between a healthy range don’t fixate on what they are eating morning, noon and night but instead they change the way they view food and its place in their day to day life. They look at their habits and then work, with powerful suggestion via hypnotherapy to ‘shift their thinking’ for longer term well being. Exercise is highly recommended as part of a weight loss plan combined with a healthy diet but changes must all be gradual ensuring that you find a very natural, comfortable way to achieve a happy weight. Developing a new self image. See yourself in the future after losing weight and make that your desired future outcome. This is a really powerful way to stay focussed. Learn to be more relaxed about weight loss and weight management. Stress is often a serious factor in a poor diet and comfort eating. Rushing around all day and then hitting the microwave button is not the way forward. Positive thinking about weight and diet. Stop worrying about the large goal that you need to achieve, instead break the weight loss down into more manageable chunks. Create a self-fulfilling prophecy specific for you. In other words, start to feel better about yourself in all areas of your life. This will help you to lose weight and, of course, losing weight will help you to feel even better about who you are and what you can achieve. This has a snow ball effect as you gather momentum in your journey to a more confident, happy you. Ironically, when you start to feel good about yourself, weight loss, health and happiness often follow.